They say moving house can be one of the most stressful things you can experience in your life. It’s hard enough as a first-time buyer. But when you also have to sell a home as well as buy one, all of a sudden things get way more complicated. One of the major causes of stress is the dreaded property chain! Imagine you’re ready to sell your home and you’ve found the perfect place to move into. Now imagine that the move to the dream home needs to be put on hold whilst you patiently wait your turn in a property chain. A property chain which could have 2, 3 or 4 links. 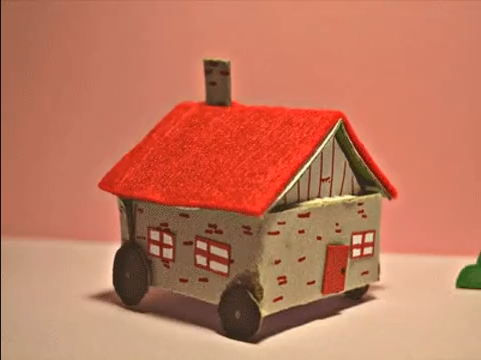 From the person buying your home all the way through to that final link. That’s right. Several other people also need to sell their homes and get their mortgages in place, in order for you to be able to get yours. Each party in the chain is dependent on the other parties. So all of a sudden, instead of you just dealing with your own process and contracts, you are now stuck in a traffic jam of other buyers and sellers. Trying to solve this problem is a new type of estate agent that will pay you the money before they sell your house. They’re called Nested and their mission is to take the hassle and stress out of property chains (just in London, for now). They know that if you’re in a chain, that makes you less attractive as a buyer. Sad, but true, as anyone who’s ever been gazumped by a cash buyer knows! So by giving you money upfront, you become a chain-free buyer and (the theory goes) it makes it much easier for you to snap up your next place. · Nested will value your home, like any other estate agent. · They’ll then make you an offer for the cash upfront payment (they call it an “Advance”). This is optional. If you choose to take it, then they will charge you fees (like interest on a loan) – see below. · You should know that the offer is likely to be lower if you take it straight away, before they’ve started marketing your property and seen how popular it is. You can take the offer at any point in the process, so it might make sense to wait a little while, if you can. · Nested will then do all the usual estate agent things to sell your home. Once it is sold, you’ll get the sale price, minus the cash upfront (if you took it) and Nested’s fees. It’s important to note that you don’t have to take the upfront payment. It’s just available if you need it. For example, if you find that dream home and you just know that other people are also going to want it – and you want to get in quick with your offer and be ready to move fast. 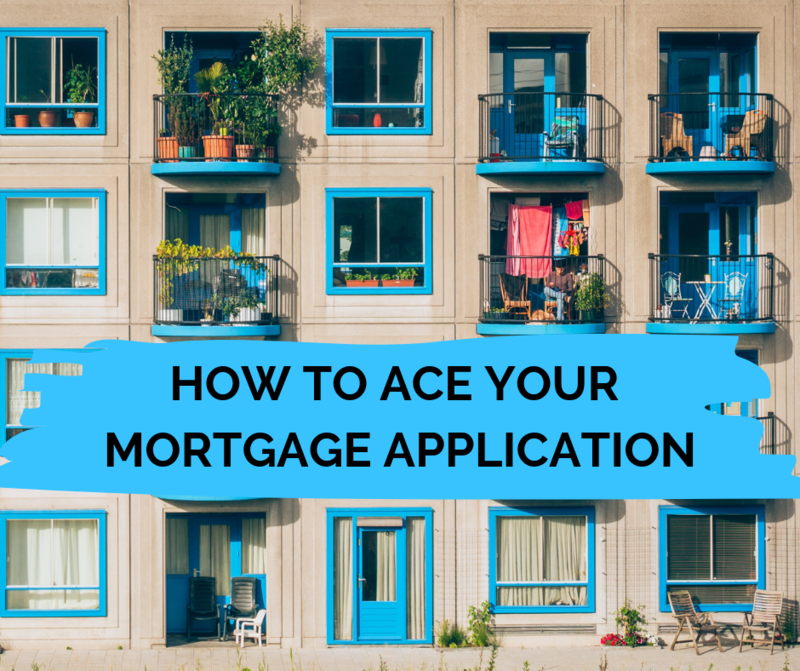 · If the Advance offer is big enough (and you have equity in your home), you can pay off your existing mortgage and have enough for the deposit on your next place. Allowing you to move quickly. · You can look for a new home before you are under offer with yours, or even negotiate a better offer on your new home. Safe in the knowledge that you pose a safer bet to sellers, than those stuck in a chain. · You’re not waiting for your buyer to sort out their mortgage, finances etc. You’ll get the upfront money from Nested, then the rest will come through when you finally sell. · Equally, you can give yourself the freedom to move whenever you want, and on your terms. Not really a catch, but if you do choose to take the Advance money upfront, it will cost you extra fees. See below. You do need to be aware that the Advance is basically a loan to you. It will be secured against your home. (This is so that you couldn’t just go and sell your home to someone else without paying back the upfront payment – which is fair!). And you do need to use the money to pay off your existing mortgage. But after that, you can use the rest of the money for whatever you want. The only catch is that right now, it’s only available for London properties (and they are choosy about which properties they take). They generally only take on properties which are pretty much guaranteed to sell easily. They also make you use their solicitors (there’s a choice from a panel) as it makes the process easier and quicker for them. What happens if my home sells for less than the asking price? Even if they sell your home for less than the asking price, you still get to keep the whole Advance amount that they’ve paid you upfront. You don’t have to pay anything back. But you will still have to pay their fees (see below), so it’s possible you could be out of pocket. If you don’t take the Advance, then you’ll just pay 2% of your final sale price on your home. This covers all their estate agency services (listing your property, arranging and conducting viewings, negotiating offers and working with your solicitors to complete the sale smoothly). You pay this fee for Nested to set aside the amount of the Advance for you, giving you the option to take the cash at any time for 6 months. If you choose to take this, they’ll give you a letter confirming your Advance in Principle, which you can use to demonstrate that you are a chain-free buyer. When you need the funds, withdraw it and pay 0.75% per month for the time that they are outstanding, up to a maximum of 7%. The pro rata price for withdrawing an advance works out at 0.025% per day, and Nested will refund you what you don’t use. Is Nested right for me? · Your property has been on the market for a little while, but you’ve had no offers. And you’ve found a place you want to buy that you think is going to be snapped up quickly. · You’ve found your dream home and you don’t want to have to wait for the person buying your home to sort out their finances. · You’re in the middle of a chain and you don’t want to be dependent on the other links! · You’re moving to a different country and need to be able to free up some cash to relocate. · Your property is worth less than £350k or more than £1.1 million. · The property you’re selling is outside the M25. · Your property has mortgageability issues, or is a leasehold property with less than 83 years left on the lease. · You have tenants in situ, or it is a shared ownership property. · You can’t afford to pay Nested’s fees. Nested is a really interesting alternative to traditional or other online estate agents. It is basically re-imagining the bridging loan – which used to only be available to home movers at extortionate interest rates. 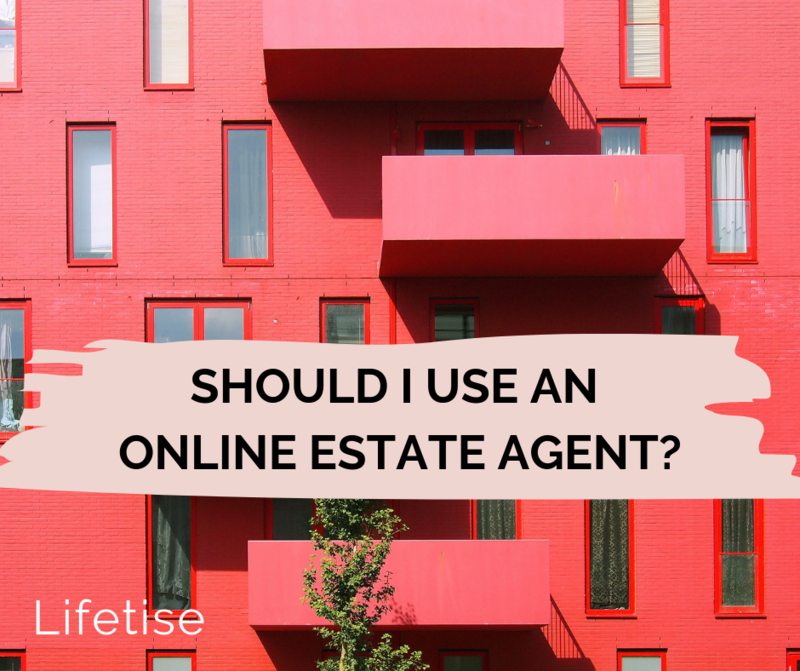 If you’re only using it for standard estate agency services (i.e. not taking the advance) then the 2% fees are higher than some other agents would charge. So it’s probably only worth it if you want / need to have the flexibility of the Advance payment. Either way, it’s pleasing to see that estate agencies are identifying the bigger problems that home owners are experiencing, and tailoring their services to better help them. Buying my next house – what are my mortgage options?